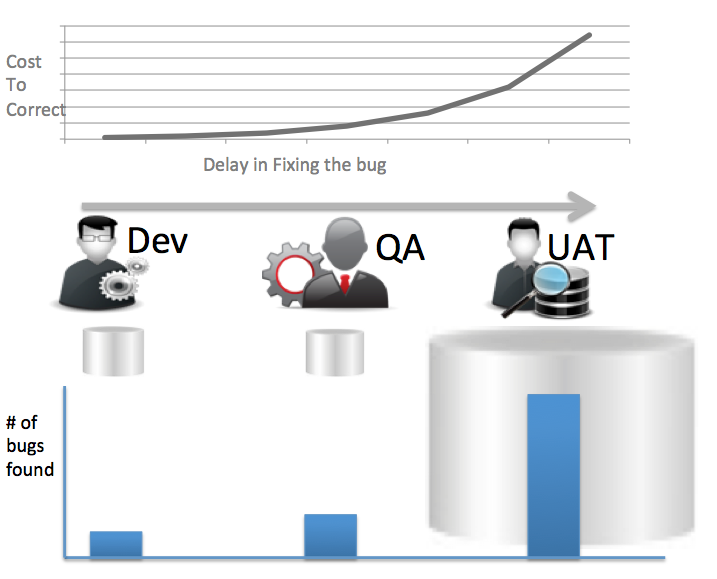 Production bugs causing downtime were due 20-40% to non-representative data sets and volumes. Moral of the story, if you roll out subsetting, it’s worth holding the teams accountable and tracking the total cost and impact across teams and release cycles. What is the real cost impact of going to subsetting? How much extra time goes into building and maintaining the subsets and more importantly what is the cost impact of letting bugs slip into production because of the subsets? If on the other hand you can test on full size data sets you will flush bugs out early where they can be fixed fast and cheaply. Parallelize all steps: have multiple QA databases to run QA suites in parallel. Give all developers their own copy of the database so they can develop without impacting other developers. I started adding a comment or two and it blew into a full post, so here’s my thoughts on the matter as well.